Boost your conversion rate by displaying on category pages the highest discount (from x €) and the list of all available discounts. Encourage your visitors to browse your product pages by highlighting discounts. Boost your average cart amount by encouraging multiple purshases of the same product. This module lets you display quantity discounts on category pages and home page. 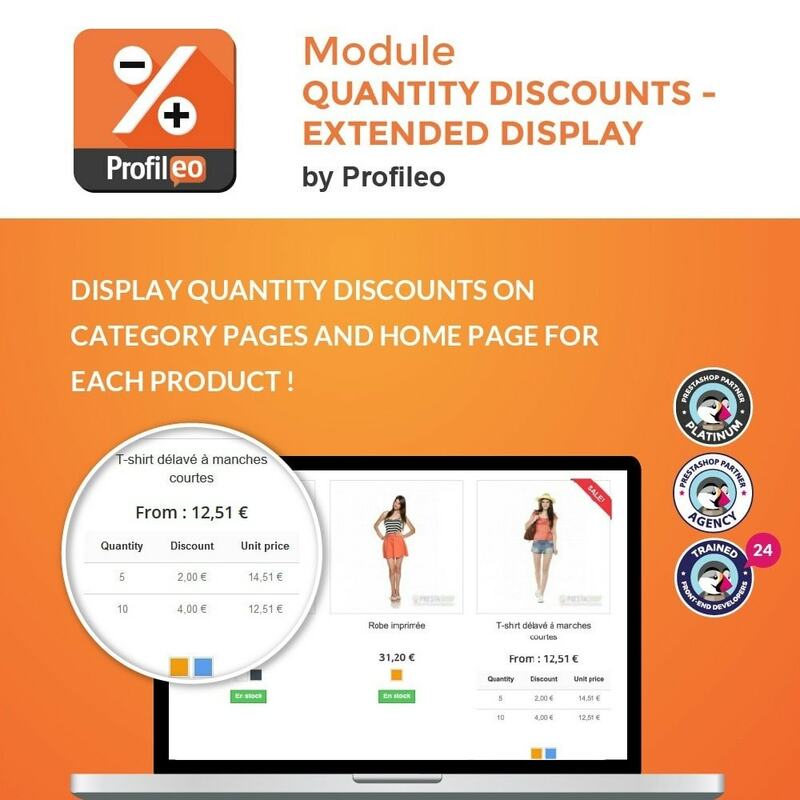 First Platinum Prestashop partner agency, and modules provider since 2010, Profileo offers a wide variety of modules to enhance your e-store. Its team of 24 developers, trained by Prestashop, provides top quality modules, produced following high quality standards. Also receive qualified and prompt technical support and customer service.